WASHINGTON — The US is on the "brink" of kicking off a new nuclear arms race that will elevate the risk of nuclear apocalypse to Cold War levels, former Ssecretary of Ddefense William Perry warned Thursday. "We're now at the precipice, maybe I should say the brink, of a new nuclear arms race," Perry said at an event hosted by the Defense Writer's Group. "This arms race will be at least as expensive as the arms race we had during the Cold War, which is a lot of money." Speaking on Wednesday, Pentagon acquisition chief Frank Kendall indicated the nuclear modernization programs would be protected in the fiscal year 2017 budget and remain a priority for the department going forward. The risk of nuclear war is exacerbated by the dismantling of the relationship between Russia and the US that had been formed after the fall of the Soviet Union. Without clear military-to-military communication between those two nations, the risk of an accidental conflict increases. "Today, probably I would not have said this 10 years ago, but today we now face the kind of dangers of a nuclear event like we had during the Cold War, an accidental war," he said. "I see an imperative," Perry added, "to stop this damn nuclear arms race from accelerating again." The greatest source of that danger, to Perry's mind, are the ICBMs, which he said are simply too easy to launch on bad information and would be the most likely source of an accidental nuclear war. He referred to the ICBM as "destabilizing" in that it invites an attack from another power. Because of that, he said, the US should look to break the nuclear triad and go down to a force of simply bombers and submarines –— a major change in strategic posture, and one he openly acknowledged isn’t likely to happen due to US domestic politics. 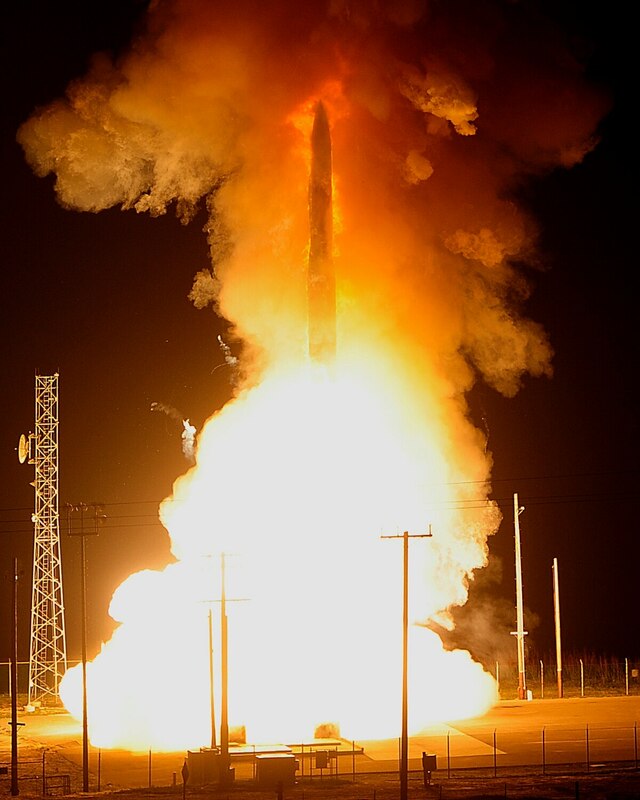 ICBMs "aren't necessary … they're not needed. Any reasonable definition of deterrence will not require that third leg," Perry concluded. Perry did note that he supported the LRS-B and submarine programs as they can service non-nuclear missions as well.